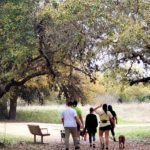 Joshua Springs Park & Preserve. Hola! Jolene checking in from Texas Hill Country. This is from our early morning walk. Yes, all the kids and their fur babies were home for the weekend. I’m excited to tell you that I received my author copies of my May 21 release, The Texan’s Secret Daughter. The hero grew up on a ranch, but he has pirate connections. It was so much fun playing with this idea. I want to share the inspiration of my new series, Cowboys of Diamondback Ranch, with you. Imagine relaxing on the beautiful patio of a beachside cabin, enjoying the scenery of the coast. There’s just something so breathtaking about the dazzle of the sun off the waves, the scent brought in by the cool wind and the view of the shore. The beauty is a siren’s call that certainly makes it hard to work when all you want to do is walk on the beach and swim! But I wanted to talk about inspiration, so here I am focusing instead of reminiscing on how beautiful it all was. A spark of inspiration can come from anywhere, whether it’s an overheard conversation in a grocery store, or walking down the street. Sometimes, it isn’t easy to feel inspired. Other times, these moments happen out of the blue. My recent spark of inspiration did just that, and came in the form of seeing The Black Dragon pirate ship sailing out in the sparkling blue waters. For a heartbeat, I was transported back in time seeing this gorgeous 17th century galleon cruising the high seas. Then the thought struck: how can I turn a cowboy, into a modern day pirate? 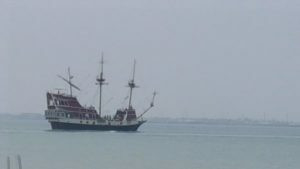 The Black Dragon is a modern day cruise line in South Padre, with the theme of pirates. Captain Black-Hearted Andy, “Scourge Of the Laguna Madre” leads his crew of scoundrels and guests on an interactive treasure hunt, where you learn to walk, talk and act like a full-fledged pirate. Now, this ship is modern under the water, but a stunningly designed pirate ship above water. This idea of mixing modern conveniences with the age old idea of a swaggering sailor of the high seas had the inspiration rolling like the waves of the bay. The Diamondback Ranch is set in the fictional town of Port Del Mar. The characters grew up on a ranch on the Texas Coast. Now they are part of the land where the ocean washes ashore. I love this new setting. So… is there really as big a difference as people think there is, between a buckaroo and a buccaneer? Which would you pick…ride into the sunset on the back of a horse or sail out to sea for a grand adventure? 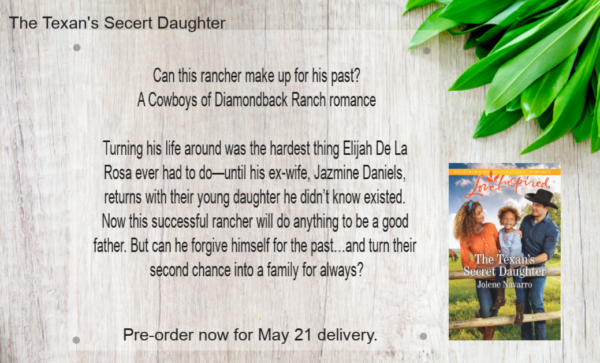 I will pick three people to win copies the early release of The Texan’s Secret Daughter for the comments below. I can see myself sailing off into the sunset. At least until the weather turned bad and the seas became rough. Then we will pray for clear skies and smooth sailing. Thanks for stopping by. This is a tough one. I love the idea of sailing off into the sunset in a pirate ship of all things, but I don’t think it would provide the scenic beauty that trees and mountains provide. Argh, the struggle is real! I guess I’d have to say the pirate ship for a one-time experience, but a ride on the prairie at sunset would be preferred on a daily basis. I agree with you. That sounds like a perfect plan. Hi Jolene! 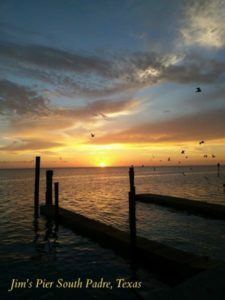 Thanks for sharing your beautiful pictures. 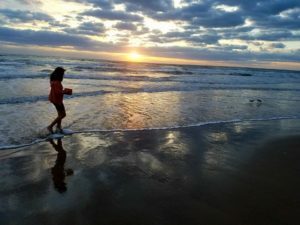 As a five year old I crossed the ocean with my immigrant parents. I was deathly seasick for five long miserable days. Living on the western shore of Lake Michigan. Our beach town as beautiful sunsets. I prefer to sit to watch the sunset from dry land – at Silver Beach Pizza. As a retiree, hubby and I explore back roads Americana from our buckaroo – a Silver RAV 4 with the windows and sun roof wide open (weather allowing). Best wishes on your upcoming release. Enjoy your weekend. Still waiting for warmer weather in the Midwest. You have had some adventures! Enjoy your travels! Thank you for stopping by. Sounds good, love the cover. I would definitely choose the horse since I get seasick. Horses are always a good choice. Jolene–Beautiful pictures. :) and ideas. There are things I like about both-horses and the sea. I like your story concept. Sounds great. Thank you. I love taking pictures. Horses and the ocean are two of my favorite things. Jolene, congratulations! What a beautiful cover! Thank you. This is one of the reason I love writing ….what if…. LOL Pirates and cowboys. Fun right? Congratulations. Oh this sounds like a wonderful adventure. Hmm, I think I would go with the buckaroo all the way. Thank you for sharing today. I’m always up for an adventure. Thank you for stopping by. I would ride off into the sunset. I deal better with the land than I do with water. I admire horses mor the ships too. Guess I’m just a landlubber at heart. Buccaroos always. LOL Nothing wrong with a good ride on a horse. Thank you for stopping and visiting. Even though I love the beach, I’m not too keen on sailing and I do like riding horses, so I will go with riding into the sunset. Nothing more romantic than a ride on the beach as the sun goes down. Sail out to sea for a grand adventure is my choice!! Thank you kindly. De Nada. I will always be up for an adventure. I think your idea for this book is perfect! Frankly, I like the unconventional and un-cookie cutter like in a story and would make it so much more interesting to me. I’d be exciting to read it! By the way, I’m in love with the cover and admire the diversity displayed on it. Congrats on another book baby Jolene! P.S. 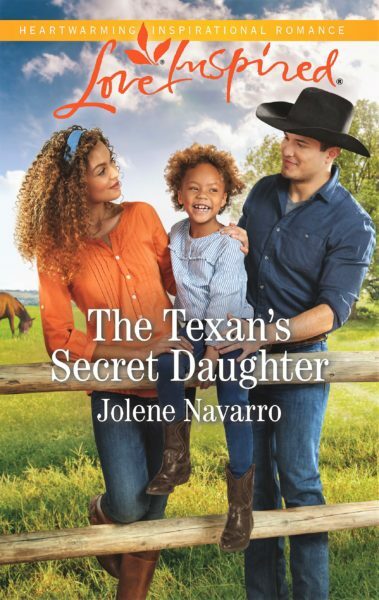 Thanks for the giveaway chance to win a copy of “The Texan’s Secret Daughter”! Thank you so much. The Oregon coast is a bit wilder than our Texas coast. You have a stunning coast line. Hope you enjoy the book. What a fun connection. I’m sure it was an unexpected idea. I’m a bit cautious/scared of the open sea so definitely going to pick riding into the sunset. Thank you for the awesome giveaway I would ride out in the sunset on a horse! Sounds like a great read Jolene!